Not your ordinary run of the mill bark, this is top-of-the-range, premium quality 100% British spruce bark. 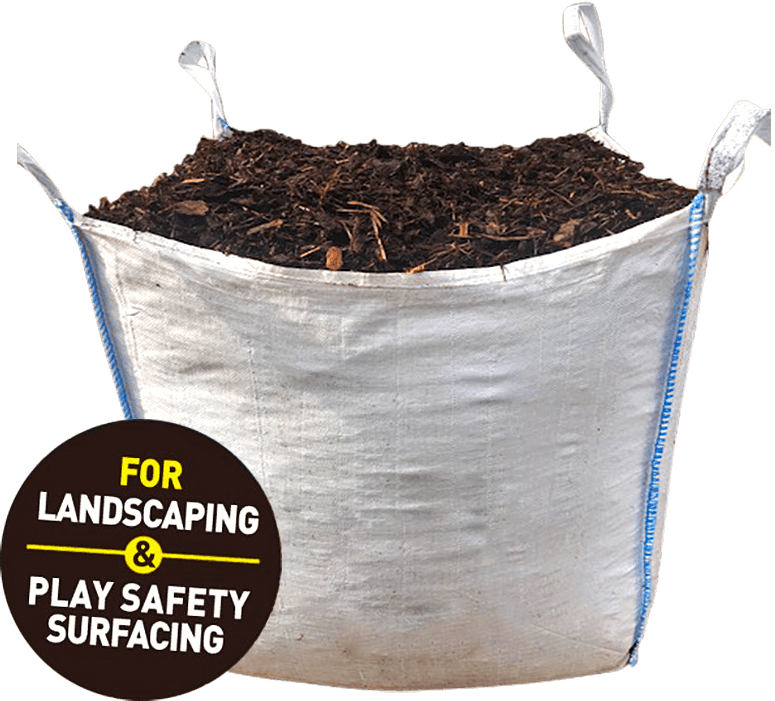 Slow grown Oak, Perfect for garden features and a variety of other uses. Available For Home Delivery and Wholesale.  Cornish Firewood is a low carbon producer of firewood and logs. We produce and supply our own kiln dried firewood available for wholesale and domestic customers delivered locally and nationally. We strongly believe in the use of kiln dried firewood as an efficient carbon nuetral fuel as opposed to fossil fuels. 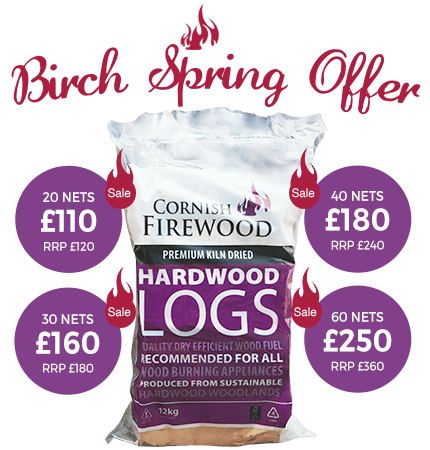 Cornish Firewood are involved with wood from forest to firewood and because we handle each stage of this process we can be certain of quality, providence of product and keep costs low and prices fair. We have invested heavily in the local area meaning we use less transportation and avoid importing, helping us to be a Low Carbon Business working towards a Carbon Neutral fuel. We can confidently state that we can supply our customers with firewood for the coming years and all year round. By ensuring a constant sustainable supply of firewood our customers can confidently convert to and invest in biomass fuel boilers and burners for home and business. Cornish Firewood prides itself on operating locally to both sustain local employment and a fuel supply for wholesale and domestic markets. Cornwall has the lowest area of woodland of any County in the UK and that which it does have is largely neglected. Current demand exceeds supply. For these reasons Cornish Firewood work with estates and local woodland owners in Cornwall and Devon to encourage landowners to invest in woodland crops, ensure existing woodlands and forests are well managed where previously neglected and create long term replanting schemes. We are also registered on the Biomass Suppliers list (BSL) which is a list of woodfuel and biomass suppliers which are certified to meet the eligibility requirements for the Renewable Heat Incentive (RHI). This means you can have peace of mind when claiming RHI payments. aWe live in an age where natural resources are once again deemed as precious but yet the demand for these is as great as ever. Our hunger and need for energy means unless we ensure such natural resources are sustainable we will simply run out. Consumers are increasingly turning to sustainable wood in the search for environmentally friendly renewable energy resources. 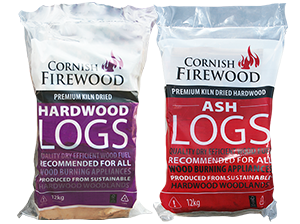 Cornish Firewood provides premier sustainable kiln dried firewood logs and kindling.Biomass fuels have their part to play in the need for energy and as well as providing heat energy are becoming increasingly credible as a fuel source both in domestic households and in business. Cornish Firewood has based its company ethos and mission upon such principles.